In 2018, nearly three times more ‘green’ #power #plants with a total #capacity of 813 MW were installed in #Ukraine as compared to the previous year. The total #investment in the renewable energy industry was about EUR 730 #million. According to the official government data, renewables are still on the rise in Ukraine. In 2018, power plants producing electricity from renewable energy sources with a total capacity of 813 MW were installed in Ukraine, which is almost 3 times more as compared to the previous year. In particular, the solar power plants commissioned in 2018 accounted for 646 MW. Moreover, Ukrainian households installed solar panels on roofs of their homes with a total capacity of 70 MW. New wind power installations accounted for 68 MW, new biopower plants for another 13 MW and new hydroelectric power stations for 4 MW. In total, today the country has 2,240 MW of power installations generating ‘green’ electricity, which is 1.5 times more than by the end of 2017 (about 1500 MW). It should be noted that in 2018 the total investment in the ‘green’ power plants in Ukraine was about EUR 730 million. 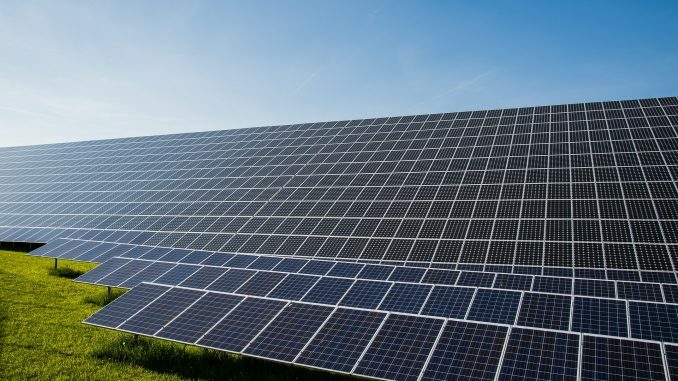 Moreover, the chairman of the Energy Efficiency Fund of Ukraine Serhiy Savchuk has recently reported that a number of major foreign investors have begun the implementation of 104 renewable energy projects in Ukraine. The total investment in the industry should be about EUR 4 billion. In particular, according to Mr. Savchuk, renewable energy projects in Ukraine will be implemented by Finnish, Danish and German companies. The projects are at different levels of readiness and should be commissioned in the near future. Besides, with effect from 1 January 2020, the state support to green electricity producers will be modified, in particular through the introduction of auctions and tenders, which should provide optimal support for renewable energy generation.